Before we get to that. Let’s get few facts and stats out of our way. 2018 is half way through and mobile app technology continues to grow in leaps and bounds. After all, with more than 50% of global searches happening on mobile devices, all things including – products, services, solutions and supplies are now being found on mobile. If you want to sustain (or grow) your business in the ‘mobile-first’ era, it’s important to look beyond a conventional website. Did you know that 7 in 10 people prefer to use mobile apps instead of websites to make purchase decision? For businesses, how does this matter? Whether you are selling products, software or services, if you’re a business who has to stay relevant, then getting your own mobile app must be on your priority list. 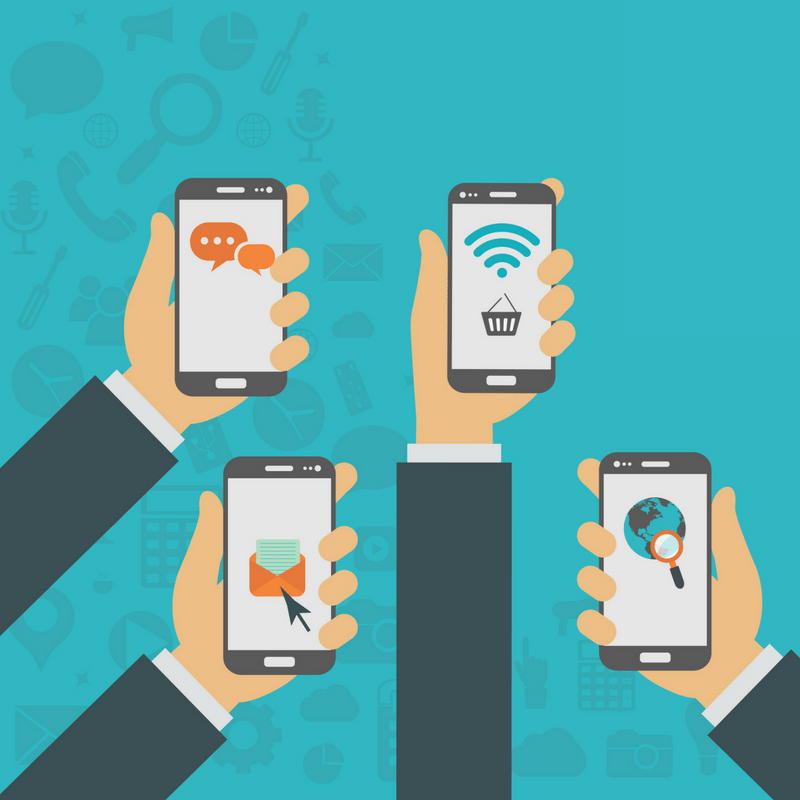 But, how does one choose the right mobile app development company? Should the decision be based on experience, credibility, technology, team or all of them? Let’s face it – before you search for a mobile app development company, the first thing that comes to your mind is the cost of the project. India is famous for low outsourcing costs and that is precisely why it is a good idea to consider Indian app developers for building a mobile app. As compared to hiring an in-house app development team, you can simply outsource the task to a mobile app development company in India. So, before you start hiring for full-time developers, stop and make a cost estimate. You’ll realize why companies save money by outsourcing mobile app development to India. Given the rising number of app developers in India and the relatively low cost of Indian rupee, mobile app development in India can save you considerable costs. Both in the short as well as long run. No matter the nature of your business, competition is tough. For you to gain a competitive edge, it’s important to focus on your core business strengths. But how do you that when getting an app developer for your mobile app is a priority? Answer – you outsource the mobile app development project to a professional. Based on the nature of your business, your vision and target audience, the estimated time for developing a mobile app could vary between 2 to 6 months (and in some cases even higher). The point is – if you outsource the app development project to Indian app developers. you can utilize that precious time to focus on your core competencies like sales, brand partnerships, customer engagement and PR. They say in Business, it’s always good to play on your strengths while identifying your weaknesses. 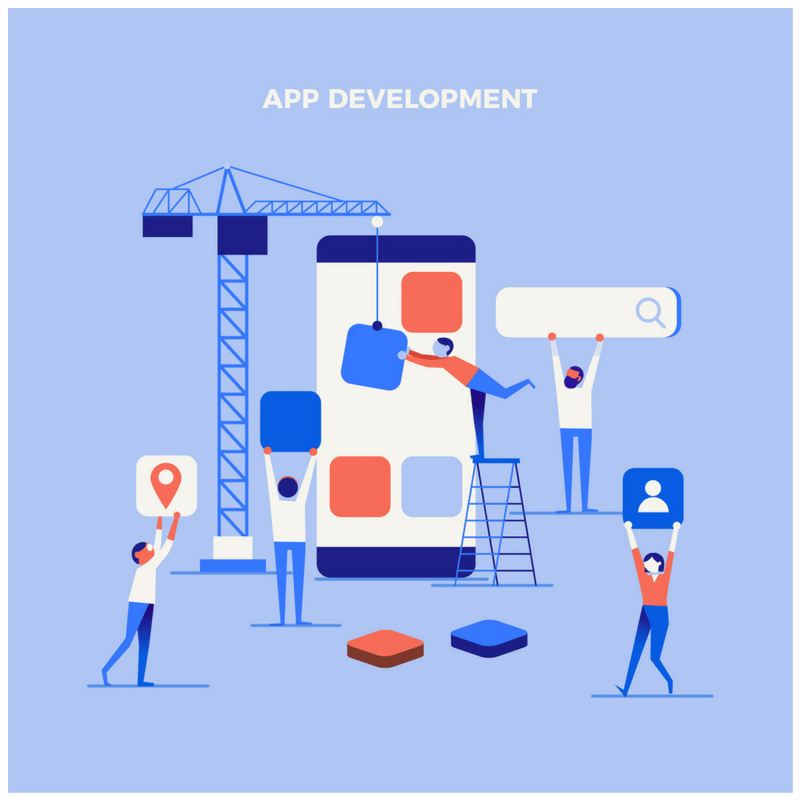 Ability to work within a specified time frame without missing on deadlines is a critical aspect while deciding the right mobile app development company for your project. Agreed there’s no dearth of talent around the globe but the numbers are in favour of India. With 4 million app developers in the country, India will surpass US in the total number of app developers by 2018. Plus, with companies like Google and Tata Trusts launching Android nanodegree programs and courses in India, the pool of talent in India is poised to grow at a rapid rate in future. Furthermore, as more and more technology giants invest their capital in the Indian digital ecosystem, the case for choosing Indian app developers for your mobile app becomes even stronger. Both the user interface and user experience play a critical role in determining the success of a mobile app. Thanks to the growing demand of mobile app development companies in India, Indian mobile app developers are already defining the new era in designing top apps for iOS and android mobile platforms. With number of startup incubators mushrooming in India, Indian app developers are getting equally adept in designing and developing world-class mobile apps. This opens up a huge pool of skilled and resourceful app developers in India that can be the right fit for your needs. From e-commerce and entertainment to education and healthcare (and beyond), Indian app developers are adept at crafting the right app for your business. Your brand can take advantage of specific skill-sets and professional developers in various sectors and use it to leverage growth. In terms of quality work and an overall proficiency over software and mobile app development, India is quickly escalating the ladder with more than 70% of the world’s CMM Level 5 companies located in the country. Basically, CMM refers to the ‘Capability Maturity Model’ which is a methodology to measure and evaluate the development quality, time management and predictable delivery of a software or mobile app development company. In short, by choosing a mobile app development company from India you can expect low turnaround time, quality delivery and ultimately, better return on investment (ROI) for your mobile app development projects. After evaluating the benefits of choosing India as an outsourcing destination for your mobile app, let’s also touch the important topic on how to choose the right app developer (freelancer) or the best mobile app development company in India. Experience: A mobile app is going to be a critical part of your ‘mobile-first’ strategy in order to meet your business objectives and thus it is always a great idea to evaluate the portfolio of a mobile app development company. In many cases, an Indian app developer with prior experience pertaining to a similar industry or field can make things a lot easier for you in terms of cost, delivery and quality. Reviews: If you audience cares about reviews, you should too. Just as you want to know what people are saying about a particular brand, product or service, it’s important to sort out the best app development companies in India by their reviews and testimonials. Look out for what people or companies are saying and don’t forget to read the fine print (as reviews can be biased too). In fact, there are many marketplaces and trustworthy directories that bring together top Indian app developers and companies which you can easily shortlist from for your own project. Today, you can find world-class app developers and mobile app development companies in India. In the last half decade, mobile app proliferation has increased massively in the country and it’s time your business to reap the advantages. If you have the next big mobile app idea, India has the right mix of talent to develop it. What are your thoughts on this article? Please let us know in the comments below!